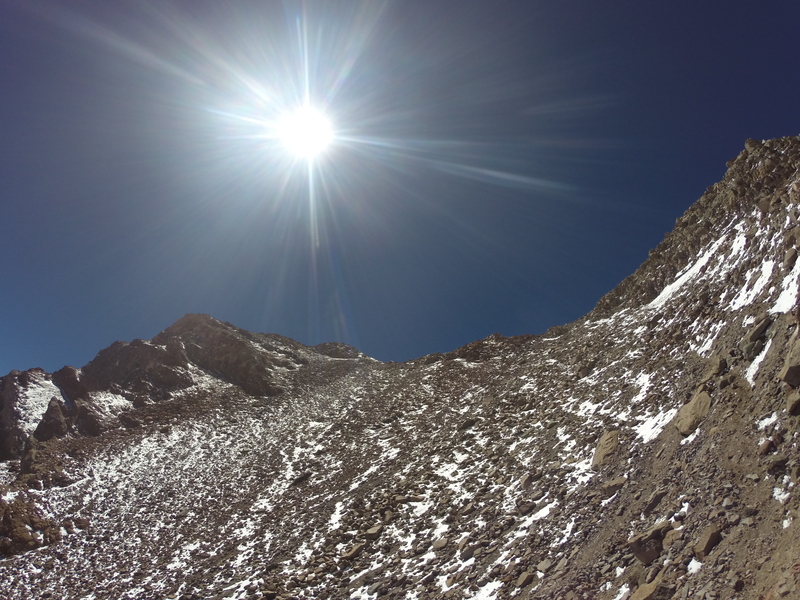 Many of you will be familiar with the mountain Aconcagua, primarily because of Kilian Jornet and his recent record set in December. 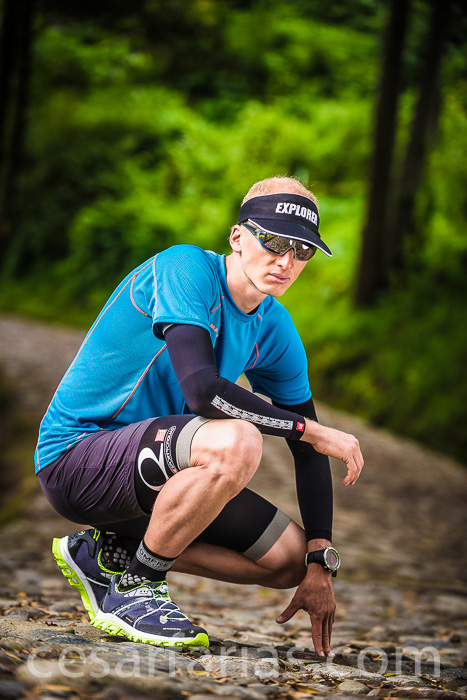 Well recently Karl Egloff, 33 from Ecuador has broke Kilian Jornet’s record with a time of 11:52 (57-minutes quicker than Kilian) I like many others wondered, who is Karl Egloff? 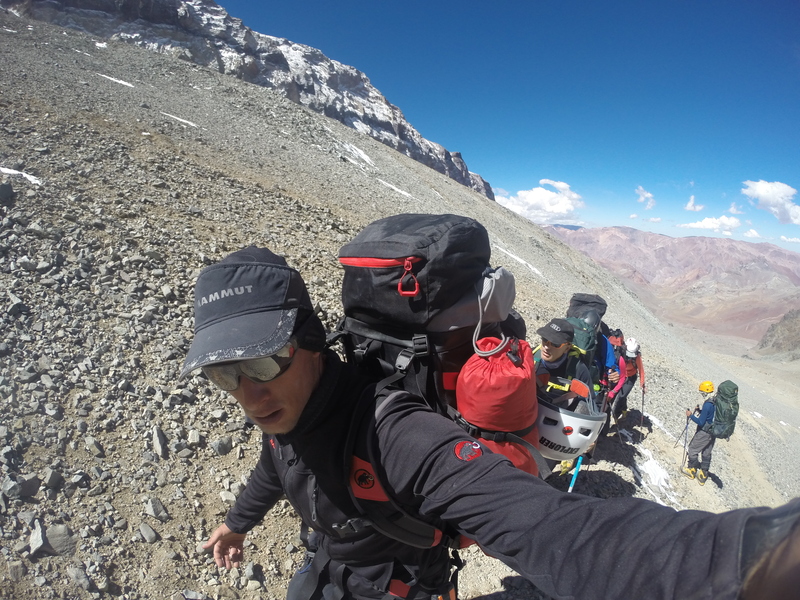 I caught up with Karl just days after his impressive record on Aconcagua. I discussed in-depth his background, home life, sporting background and how he may now be considered a speed-climbing phenomenon. KE: I’m so happy I just came back a couple of days ago from Argentina, I feel good and I’m happy, there are a lot of things going around right now and I’m happy to talk to you guys. IC: It’s great to have you here and I really do appreciate you finding the time to talk to us. Before we talk to you about Aconcagua, a lot of people all around the world are saying who is Karl? Who is he? What his background? I said that you are 33 and you were born in Ecuador. Your father was a mounting guide if I’m correct? KE: Yes he is and yes, I’m 33. I was born here in Quito, its very high here actually 2000+ metres. My mother was half Ecuadorian half Swiss, she met my father during studies and they made the decision to move to Ecuador and make their lives here, we three kids where all born here. My father is a mountain guide and he took me to the mountains at a very early age. He even took me as a baby in a large backpack. I went up to the huts of our big mountains here in Ecuador and if he was climbing with a client up to around 1000 metres, I would go too… I got a in the mountains pretty young and as soon as I could talk I would just discuss mountains about mountaineering. My mother was not very happy about that, she was always telling me not to choose the mountain guide career; she was a little bit worried about it. She said it’s very difficult to be at home and to have a family, its difficult because it has the seasons. She was always telling me about other professions, but it’s kind of impossible being a son of a mountain guide. I had homework about beautiful mountains all over the world and I was always asking so much he used to say please Karl stop asking me. I guess that when things really started for me, I was guiding with him almost every weekend up to 6000 ft. Unfortunately my mother died when I was 17, so us three kids decided to go study, I went to Switzerland. I was living in Zurich for around 8-years and during my studies I went up to the mountains every time I could; to snowboard, to go jogging and to go trekking. I finally returned to Ecuador at 26-years old, I actually tried to be a professional football player because here in Ecuador you grow up with football, it’s much more of ‘the’ sport it’s like in the UK. Football is a religion. .
IC: Before you tell me about your football, let’s go back a little bit and talk about your father being a mountain guide and the way that you were brought up, your story is so similar to Kilian Jornet. His father worked in the mountains, his father and his family lived at a refuge, and really from babies they were just born and bred on the mountains, and of course it’s that lifestyle, that permanent lifestyle that adapts you to be maybe an athlete that not only performs exceptionally well in many sports but particular high altitude sports. KE: I read Kilian’s book and when I was reading it, it seemed like I was reading my story and especially regarding the altitude he was at, I was living at the 2400 metres and we used to go up with my father into the mountains and down into the valley, While reading I found a similarity when Kilian said he used to go out at night without the lights and sit with the nature. I did those things with my father too. I was with nature a great deal. I was always following the paths of different animals and I constantly asked many questions to my father. When I got older my father used to give me some slack. I could go up to the summit or climb the path for the next days trek. I had already climbed the mountains. My father would just followed me with binoculars and show me whether to go, to the left or right with his hands. So yes pretty similar as Kilian. IC: Yeah very similar. And of course Kilian a little bit like yourself didn’t start out as a trail runner or an alpinist, he started out in ski mountaineering and skiing and you were just telling us that football was a passion for you. KE: Yes, definitely. Football is like a religion in Ecuador, you do nothing else but soccer at school, everyone is asking for the teams. No other sport exists. So actually for me the way I feel free is to do sports; it’s like a drug That is why I used to do my homework quickly so in the afternoon I had enough time to organise another soccer game or another competition at home and so yes definitely football for me became everything. When my mother asked me what I want to do when I leave school I said, ‘I want to be a professional football player,’ and she said forget it, sports won’t get you anywhere. My coaches said have the energy and the talent, but my mother being from South America was very conservative. Before she died she said I don’t care what you do just don’t become a mountain guide or a sportsman, now here I am, 10-years later and I am both. I tried really hard to please my mother, so I started academics. I started in Switzerland, I tried to work in other places too but I was never happy, this is the most important thing; you must follow your happiness! When I returned back to Ecuador I really had to have a year off before starting a new business and starting my new tourism agency and in those days I started to go biking. I was too eager but I had a great race. After a sponsor came and said, ‘Karl we want to sponsor you.’ It was great news, it was my first race and I felt under qualified but they told me not to worry and come to the office on Monday! IC: Wow perfect, that’s nice! IC: So it was a really exciting time to just test yourself in sport but while this was going on while you were involved in mountain biking were you still mountain guiding? KE: I was yes, exactly. I started in 2007 at my first agency and then 5-years later I started my own company. Biking was also a big part of my life, I was really happy with biking but there is a point where it costs a lot of money, you have to go for International championships and you need to live somewhere else. So we had a family decision, we sat down and discussed my options. I was 31-years old, which is relatively old in mountain biking, so I decided to quit! IC: It’s interesting that you say at the age of 31 there’s no future for you in biking, you were obviously very good at it and carried over fitness and strength from trekking and as a tour leader. 31 is quite young to think that there’s no possible future. Do you think back now with your running success and think you made the wrong decision? KE: Yes of course, I think the main point here is that we live in a very conservative country were sports is not a future, you don’t grow up here with your parents saying yeah go play tennis… become professional and so on. I was criticised by my family, they said sports would not get me anywhere. I had an opportunity to work for a Swiss mountain guide company and they gave me the chance to work as a mountain guide in Kilimanjaro and a few other places. It was a great opportunity, I was getting a salary but they wanted me to focus on the job so I could manage all business here in Ecuador. IC: So it was a career decision, a business decision and family ties to the mountain. I guess it didn’t really feel like you were giving up sport but just changing disciplines. KE: Exactly, I was always jogging I was always training but I never competed as I never saw it as a competition. Nobody thought about running here before but now it’s the second biggest sport after football. In 2012 I quit the biking and focused on the job and in 2013 really focused on guiding and a lot of doors opened for me. I was in Nepal and other countries and I was earning for the first time in my life. For me it was like, oh finally I have money I can get a car and grow up with the company; this is why I slowed down but I never stopped completely. IC: Cool so let me come to Kilimanjaro. That is when I first became aware of your name and funnily even though you broke kilian’s record on Kilimanjaro it still didn’t really get much recognition. It was reported in several places but it didn’t get worldwide exposure, it was a bit under the radar. But I can see now knowing your history why you would make an attempt on Kilimanjaro. With your background is the seven summits now on your mind? I continued down and broke the world record and it became big news here in Ecuador. A lot of people criticised as they said the mountain was dangerous and that people can die on the mountain. But I am a mountain guide so I know how dangerous it is. How does Karl prove and verify his records? 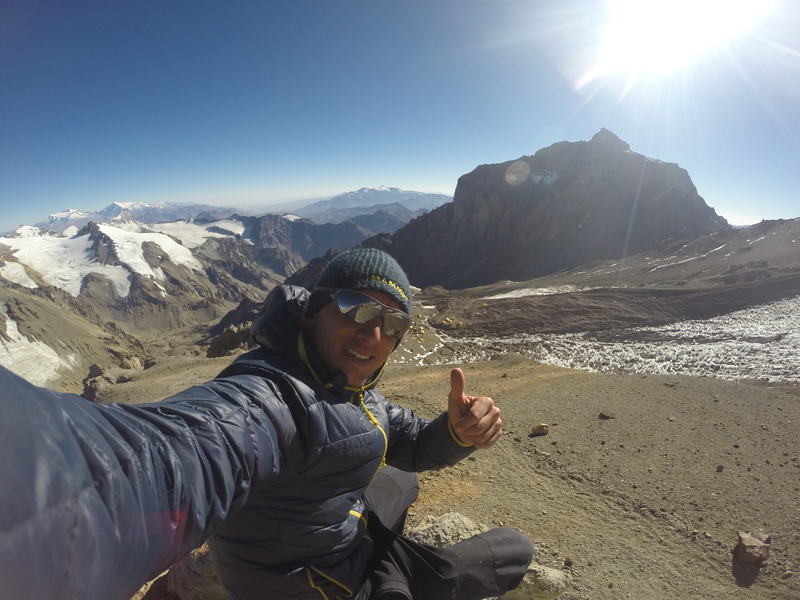 Read about Karl’s Kilimanjaro record and read how he managed to knock 57-minutes off Kilian Jornet’s Aconcagua record. You can ‘HEAR’ the full interview on episode 82 of TALK ULTRA published on iTunes March 6th. The show is available for free – please subscribe! This entry was posted in Uncategorized and tagged Aconcagua, Africa, arbgentina, Chile, Costa Rica, ecuador, egloff, FKT, Karl, Kilian Jornet, mountain biking, mtb, Running, seven summits, South Africa, Summits, Summits of my life by talkultra. Bookmark the permalink.